The return to the past means most often a return to the science that we rediscover today through many efforts. 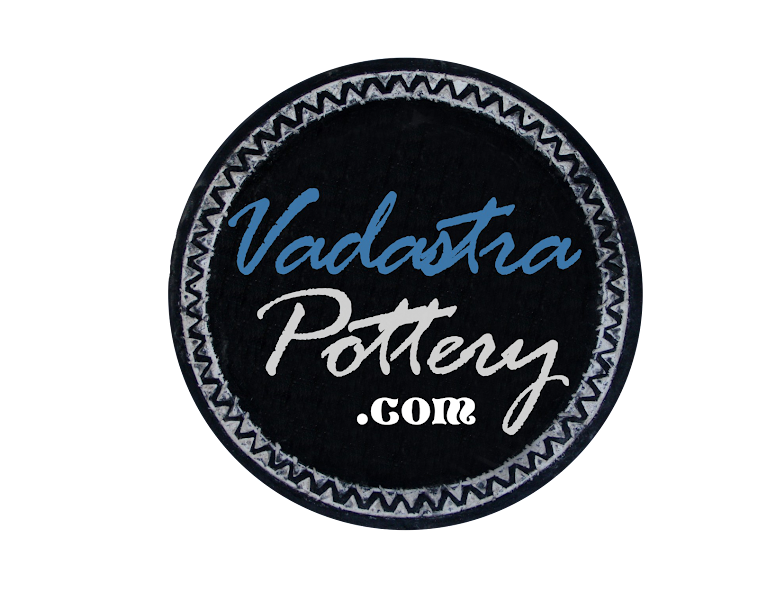 All Vadastra potteries bearing this spiral inlaid on them could be used in antiquity for food storage. Spiral effect is the pyramid effect transmitted in two-dimensional so that the food was tasty and preserved longer. This vase of great beauty and refinement can be the ideal gift for someone who appreciates an art object. 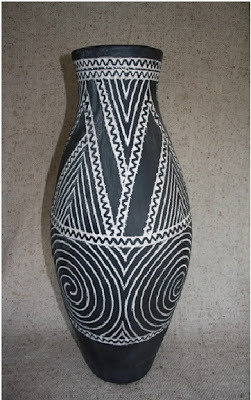 Made by an old technique for over 7,500 years, a Neolithic technique, the vase captures the soul of the potter artist, because its form is given only by the hands of the craftsman, it is not obtained using the potter's wheel. 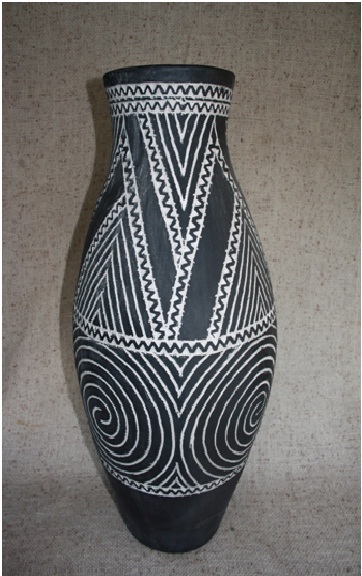 Both form and technique used for blackening ceramic make this object a cocktail of passion and concrete, where concrete is stressed by the shape that clay takes under the force which lies in the devotion of the potter artist. The motifs that decorate the vase have profound significance, the spiral being the impulse of the ascension, that which opens the infinite. Spiral represents the repeated rhythms of life, the cyclical nature of evolution, the finite permanence constantly confronted with fleeting movement.